Why do I perform the Duodenal Switch Procedure? You can lose more of the excess body weight (85-95%). 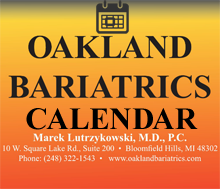 Your chances of gaining weight are less after duodenal switch than following any other bariatric surgery. Side effects short and long term are low and are easy to manage. Due to the malabsorption component, the duodenal switch procedure is the most effective surgery to cure diabetes, hypercholesterolemia, hypertriglyceridemia. Portions of the meals following surgery are relatively normal. This surgery is simple to adjust if necessary. No foreign materials and risk involved with infection, migration of the band and failure of the system, band erosion (slippage). Gastric bypass has not been changed for years. The only difference is that some gastric bypasses are dangerously radical, the pouch size is 5 cc (grape size) and now it is being performed laparoscopicly. In this stage of knowledge we know that excess body weight loss after adjustable laparoscopic banding is approximately 50%. Failure rate is approximately at 30%. 25% of diabetics are not cured. 20% of patients with high cholesterol and triglycerides are not cured. In comparison, the duodenal switch procedure cures approximately 100% diabetes and 98% hypertension and 98% lipid disorders. Vomiting, esophageal dilatation and motility disorders are possible if band is to tight. Remember, the longer the band is around the stomach, the risk for complications increase. Modifications of the duodenal switch procedure performed in our practice is designed individually. The factors taken into consideration are weight, body mass index, age and goals. This procedure, for the most part, is totally reversible from the absorption point of view. We know that a patients response and successful weight loss varies. The most important factor is weight (body mass index), especially a BMI greater than 60. This is why we developed a new approach that allows us to achieve excellent results in weight loss independent of patient’s BMI. This is contrary to gastric bypass or the banding procedures, which are performed the same way regardless of the patients weight (BMI). There are a few things that patients need to realize. Duodenal switch is for the compliant patient that is willing to take vitamins and minerals daily, attend support group meetings and post-operative follow up.